From "The Uncheese Cookbook" by J. Stepaniak, this recipe is good: good for you and good for the planet. For the Sustainability Fair today, we multiplied this recipe by 8. This recipe was first shared with us by our friends Taj & Jim. Thanks everyone for helping make yourself, and the earth upon which we live, more sustainable. Place all ingredients in a food processor and process until completely smooth and evenly colored(may take a few minutes). Stop processor and scrape down sides of bowl as necessary during processing. Keeps 5-7 days in the refrigerator. In place of the red peppers, use 1/2 cup cooked chopped carrots, or 3/4 teaspoons paprika, or 2 tbls. unsalted tomato paste. Activities for Making Weight Loss Easy! It's a new day and I woke up in a "worrying" sort of mood. Sometimes it feel like our goals, the same ones we made last year and the year before, are still illusive and out of reach. I asked the question: What am I not doing or not seeing? And then, thankfully, the purpose becomes clear and puzzle pieces come together again ... the systems are in place and I remember (again!) that consistent activity, spiritual tranquility, and core happiness progress and success. Write our your health goal and day it out loud daily and often! Write down all the secondary choices that you will make in order to reach your goal - see Chapter 4 in Dr A's Habits of Health. Restock your kitchen and get rid of temptations - remember, it's easier to change your environment than it is to change your mind! Get family help and support. Distract yourself when cravings strike. There are so many other important health promoting activities including water intake, sleep, tranquility, movement, surrounding yourself with happy people ... way too many to contemplate all at once (Dr A's list of 10 actually has 11 items on it, did you notice?!) What's the most important "Baby step" or change that you can make today??? What's bringing you success at this moment? The following article was posted by the National Institute of Health for people dealing with diabetes. Health Coach Resource recommends this as good practice for anyone who wants to live a healthier life and reduce the likelihood that you will ever need to deal with diabetes or it's complications. Just plain old "Healthy Eating" includes the bullet points mentioned below. If you do suffer from diabetes, this good advice could lead to improvement in your health, weight loss, and possible reduction in your need for medications. Contact us for your free brochure on "Medifast for Diabetes." If you have diabetes, your body cannot make or properly use insulin. This leads to high blood glucose, or sugar, levels in your blood. Healthy eating helps keep your blood sugar in your target range. It is a critical part of managing your diabetes, because controlling your blood sugar can prevent the complications of diabetes. You do not have to be a vegetarian or vegan in order to benefit from this cooking class. Learning how to cook and enjoy vegetables is an important part of every diet. Although we still use a small amount of seafood, I have stopped buying chicken, beef and pork. We use mostly beans, bean products and nuts for protein. If you are gluten intolerant, the other great thing about fruits and vegetables is that they are naturally gluten free. Veg 101 begins on March 4. Register today! A tasty and healthy alternative to high carbohydrate rice. Goes great served with any kind of sauce and is especially great for the waistline when you use a nutritious low calorie sauce. Tomato and marinara sauces go really well. For chicken dishes saute chicken strips, mushrooms and spices of your choice in chicken broth and serve over riced cauliflower. This is great for a "Lean & Green" meal and is gluten free. Watch this video on preparing the cauliflower. This is a fabulous article proving in seniors what most of us already know to be true: Stuffing our faces decreases our ability to think clearly! As our blood sugar rises and overwhelms our body's ability to cope, we get "brain fog" that we can feel. That feeling for me signals that it's time for a nap! We don't have to wait until we are an "honored citizen," if we do, we've waited too long. Discover the "Habits of Health" for your favorite senior, your children, and yourself. We each have access to the knowledge, time, money, and support to immediately make changes - one decision, one purchase, one mouthful at a time! That's what we do at Health Coach Resource ... whether you are looking for weight loss, coaching, gaining health and stamina, we can get you started and support you along the journey. Consultation free as is coaching for clients on program. “Kindness is caring that springs from compassion. We have genuine concern for the welfare of others. We are warm, friendly and ready to help. We listen for the needs beneath the words. We give tender attention in simple ways that bring others happiness… We are good stewards of the earth and all living things. We remember to be kind to ourselves”. How to Build a Winning Team! "How do I build a Team?" Our Slimmest Winner II, 90 Day Challenge starts later this month, just in time for Spring and I was asked, "How do I go about building a team?" Start with Why you've chosen to take the Challenge. Think about How you normally share important information. Why: Your friends, family members and colleagues have been watching your slim down and need a system and encouragement to do it too! What will it feel like to help them? What if we don't reach out? Will we let another year go by? It's just in time for Spring and most of us want to feel and look better! Losing weight is just one way to measure our status and progress ... but it's very motivating and if we can get someone going down the right path, making healthy choices can become a lifetime, life-changing habit! How: Make copies of the fliers and rules and post them in your office, on you church and grocery store bulletin boards and on FaceBook. Hand them out to your kid's soccer moms - ask them to join you in this Challenge! Call me and I'll help you with more ideas and logistics. What: Share with potential Teammates that you are working with a Health Coach (me) and that I'm delighted to get them on Take Shape for Life for the 90 Days ... 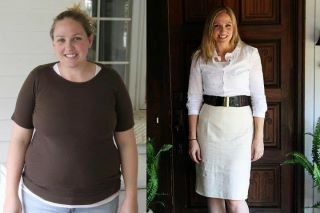 If YOU can do it, they can do it for 90 Days! Ask them what slimming down will mean to their health. What will it feel like? And, what will it feel like to keep on struggling without a coach? Also, ask them how $500 would benefit their child's classroom, their office, or their club. Each team member on the winning team receives $100, so teams can consist of 2-5 Challengers. Besides, "Team work, makes the Dream work!" Rules for Slimmest Winner II Challenge! Katia, right, is down 133# so far!!! Teams will consist of two to five Challengers. Challengers on the team with the highest percentage of body weight lost, each wins $100. Maximum award is $500 for a team of five Challengers. Recent Challengers are welcome to continue with their additional team member(s). Youngsters age 16-18 may join the Challenge as long as a parent signs a health and liability waiver. Send in a full length "Before Photo" taken within 48 hours of starting the Challenge. Send in a full length "After Photo" in same clothing, same background within 48 hours of ending the Challenge. First weigh in is on Friday, Feb 24th, 2012. Report weekly results each Friday until Challenge ends on Wednesday, May 23rd. We're on the honor system - you know what we mean! No illegal substance use please - including current use of HCG in any form. Clients of Health Coach Resource receive free coaching, discounts on Medifast foods, and $25 Cash on Account for new teammate referrals. The Challenge ends with last weigh-in on Wednesday, May 23rd. Winners will be announced on Sunday, Sunday, May 27th. 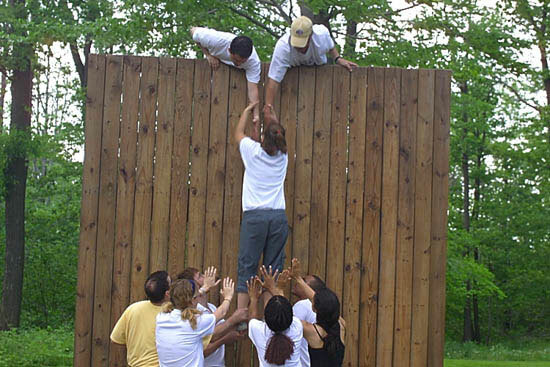 Participation is voluntary and Challengers ascertain that they are healthy enough to participate. Individuals with significant health issues and/or under medical supervision, should consult with their provider before signing up. All participants agree to be a client of Health Coach Resource and on the TSFL Program for the 90 Day Challenge. If a Challenger decides to discontinue the program, they effectively withdraw from the contest and forfeit their potential winnings. Slimmest Winner II begins Feb 24th, 2012! Call a few friends and let's get started!!! "Slimmest Winner II" 90 Day Challenge! $100 goes to each participating member on the team with highest average percentage of Body Weight Lost!!! Ends: Wednesday, May 27th, 2012. Dr Andersen, founder of Take Shape for Life and author of Dr A's Habits of Health, points out that we are what we believe ... and what we do proves what we believe! I know we are the very best and are doing the very best we can at each moment but sometimes we get tripped up by "old" thought patterns, habits, and expectations in our home and work environments. Take a look at Chapter 3 in Dr A's Habits of Health. It's called, "Motivation for Change." This chapter builds a foundation for discarding old patterns of thinking and less-than-helpful habits, the habits of dis-ease. We are invited to begin developing new habits - habits of wellness leading to a feeling of control, vitality and happiness. Without going through this process, we are stuck in a never ending cycle of frustration and repeated failure. Picture this process on a piece of scratch paper by drawing a circle like a clock. At 3 o'clock, write "Action" ... the crisis leads to intense emotional conflict that we decide to address and get help with. At 6 o'clock, write "Less Crisis" ... there's less emotional conflict because we've taken action like visiting our medical provider, reduced our stress, gotten on a new medication, started a new diet or stopped smoking. Now we are back to 12 o'clock ... write "More Crisis!" and start the whole cycle over again and again, and again! Dr A describes it in more detail on page 20. I’m down 28 lbs!! Oh my goodness….people are really starting to comment….its really fun. Just wanted to keep you posted, and share with you my excitement! I continue to be amazed how it just happens like magic… and, I don’t have to be on the treadmill an hr. a day for it to happen (I think I shared with you that always before if I was able to drop a pound it was because I had sweated and exercised for an insane amount of time). I’m so busy with other things in life, its such a gift to just follow the program and watch it work! Congratulate yourself on each new habit you have and are making - don't look back! Just keep your eye on the prize!!! This is what we do at Health Coach Resource ... we help YOU get to where you want to go with your health. You can reach me at Polly@HealthCoachResource.com. To read more about habits, check out this site by Helen Fell. Chonically high blood sugar can damage nerves and blood vessels, affecting your eyes, kidneys, and heart. You can develop hardening of your arteries, which in turn can lead to heart attack or stroke. Read the entire article at Improved Heart Health Directly Reduces Risk of Type 2 Diabetes. What does health and wellness look like and mean to you? How would feeling better change your life? What will it feel like if you just give up? Enter Health Coach Resource! We're here to help you sort out the disheartening frustration of the unlimited hype and "solutions" that just don't work. If giving up isn't an option for you either, contact us for a 30 minute free consultation ... you can interview us, we can interview you ... let's see if having a Health Coach can help you get to looking and feeling better sooner rather than later! Once you're on program, our services are complimentary. Now in the second quarter with New York Leading New England 9 to 3 after a 29 yard field goal by New England. By this time in the game Americans have already scarfed around 10 million pounds of snack food. Below are the expected scores of what we as a country will have consumed on Super Bowl Sunday 2012. In his book, Dr A's Habits of Health, Dr Anderson collaborated with Robert Fritz to teach us the process of using "Fundamental Choice" in creating optimal health. We live in a society that dwells on problems and how to resolve them. In his most recent blog post, Robert Fritz, explains the difference between "fundamental choices" and "problem solving," using the example of the difficulty people face trying to quit smoking. He explains that, “Smokers are not alone in being focused on appetites and instincts. Millions are suffering from obesity. Yet the fast food world knows exactly how to evoke the appetite frame of demand for instant gratification. One McDonald's sign showed a picture of a Big Mac and fries, with the caption, "You know you can't resist."" When it comes to getting on that path to permanent weight loss, Health Coach Resource has the tools, tips and coaching support that can help you create the quality of health you want in your life. Resisting is hard, frustrating and often ends in failure. Developing healthy habits is still hard work but much more rewarding and long lasting. "In this offbeat existential comedy from director Harold Ramis, self-centered television weatherman Phil Connors (Bill Murray) is sent to Punxsutawney, PA, to cover the annual appearance of the town's world-famous groundhog. After unleashing his bitterness on his producer (Andie MacDowell) and cameraman (Chris Elliott), Connors realizes he's doomed to repeat Groundhog Day until he learns that his actions can affect the outcome." Happy Groundhog Day. Whether the groundhog sees his shadow today or not, just like Bill Murry in the movie, until we learn that our actions affect our outcome, we are "doomed" to repeat the same mistakes again and again. If you are at a point in your life where you want to create different results, know that what you do today can change and can be better than what you did yesterday. Whatever the situation, the same principal applies. What are the results you want to create? Groundhog Day is as good day as any to reset your compass and make a new start. If you have made the choice to move in a healthy direction congratulations and keep on keeping on.